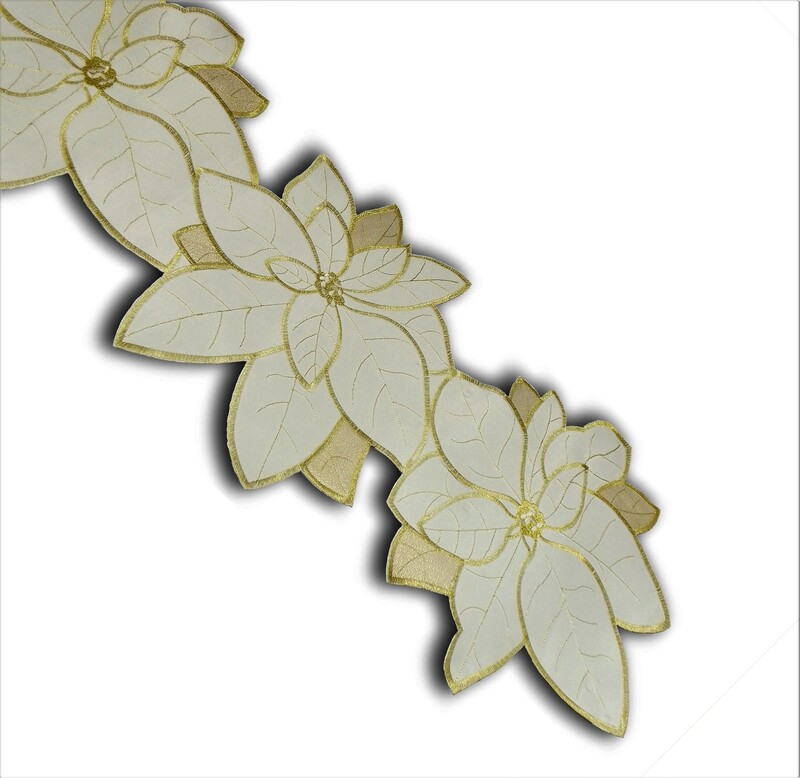 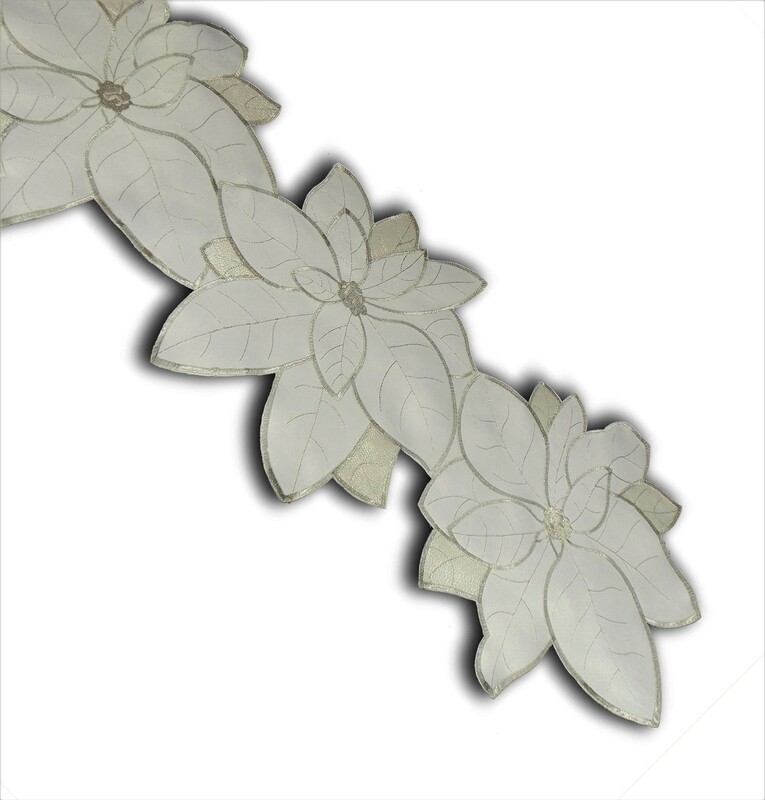 The Poinsettia Grande Christmas table runner is an eye catching piece for the centre of your table. 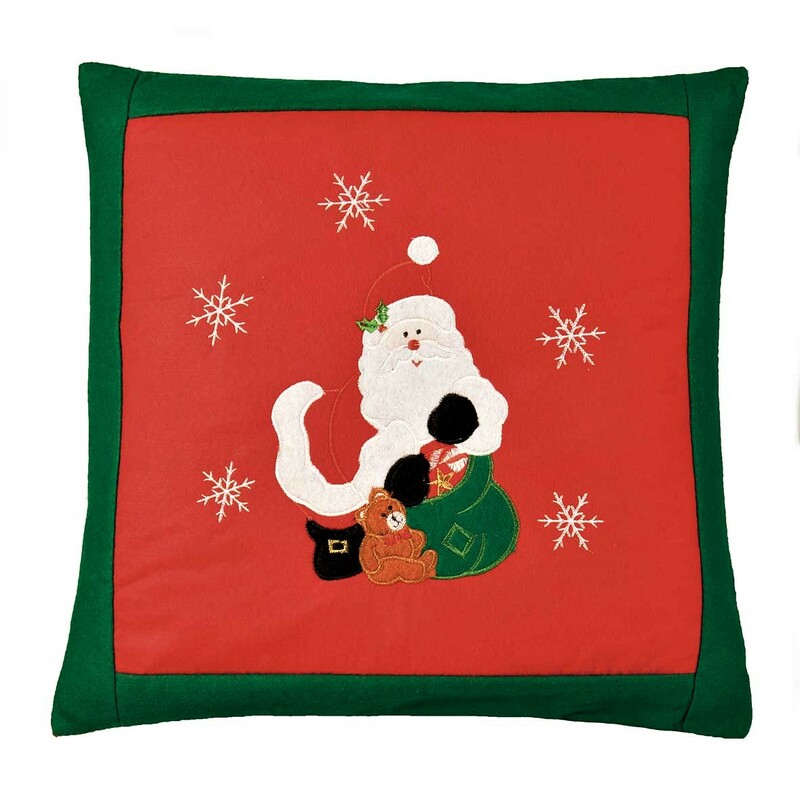 It’s also an applique and embroidered Christmas runner and will fit perfectly down an eight seater table. 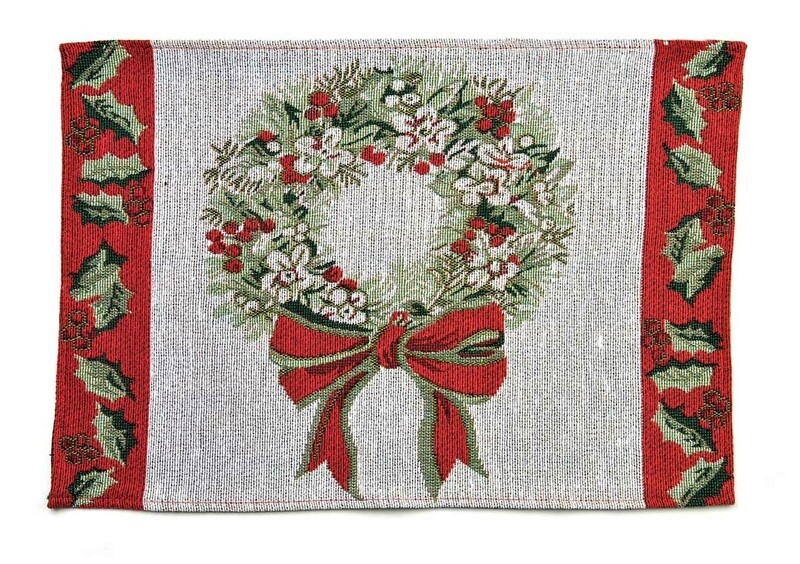 This Christmas table runner can also be used with almost any different Christmas colours of tablecloth. 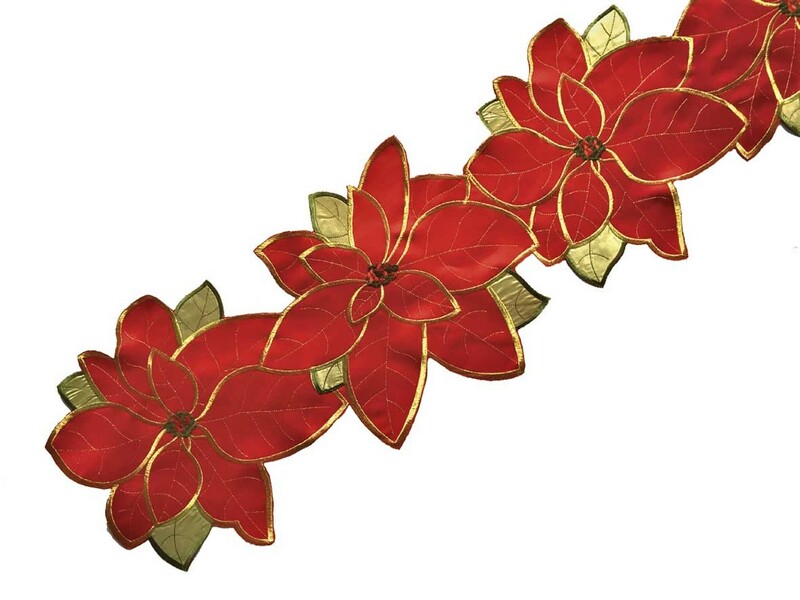 We think it would most likely suit a neutral background especially as its vibrant red and green design will take centre stage on your table. 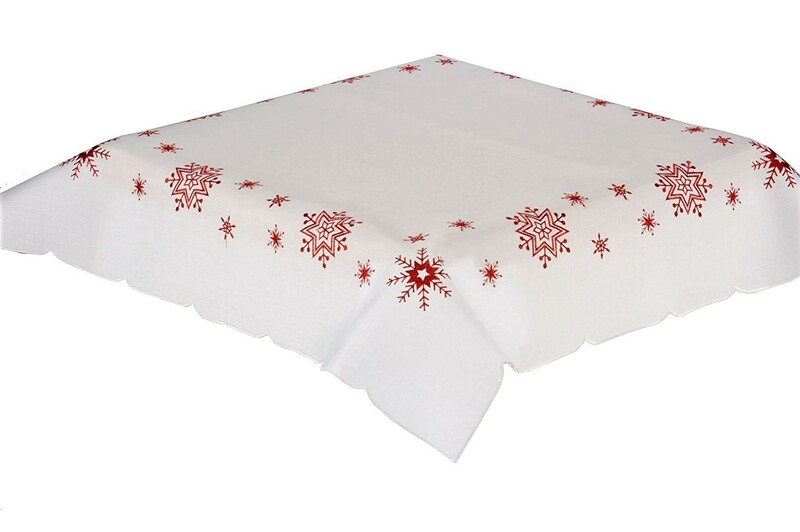 The Poinsettia Grande table runner is also machine washable and very easy care, perfect if someone spills cranberry sauce all over it. 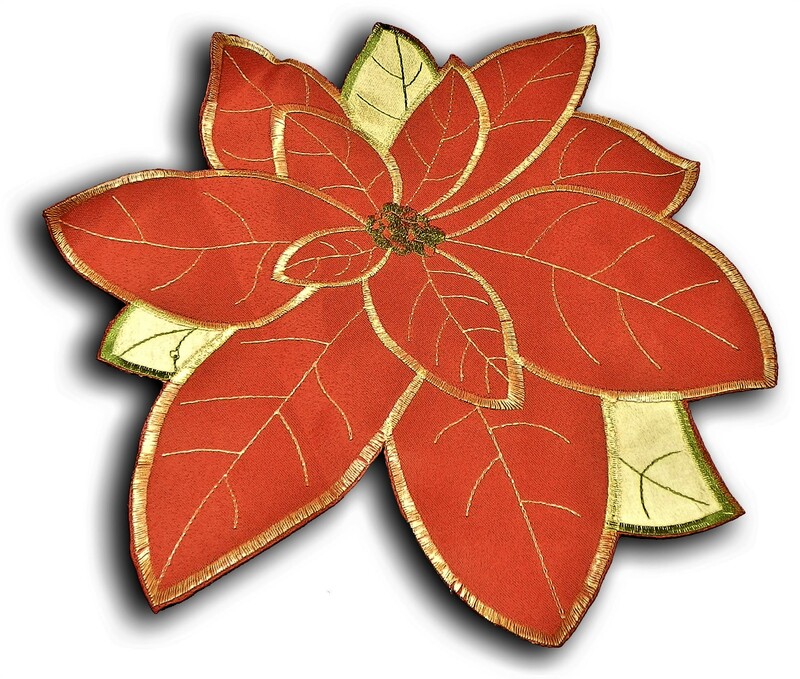 The Poinsettia Grande table runner is a lovely quality embroidered and applique red flower Christmas table runner and is ideal for Christmas and New Year, this size is ideal for use on an 8 seater size oblong, oval or round table. 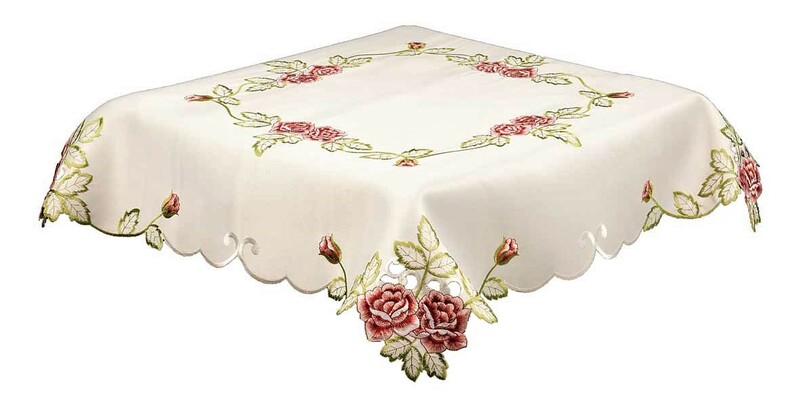 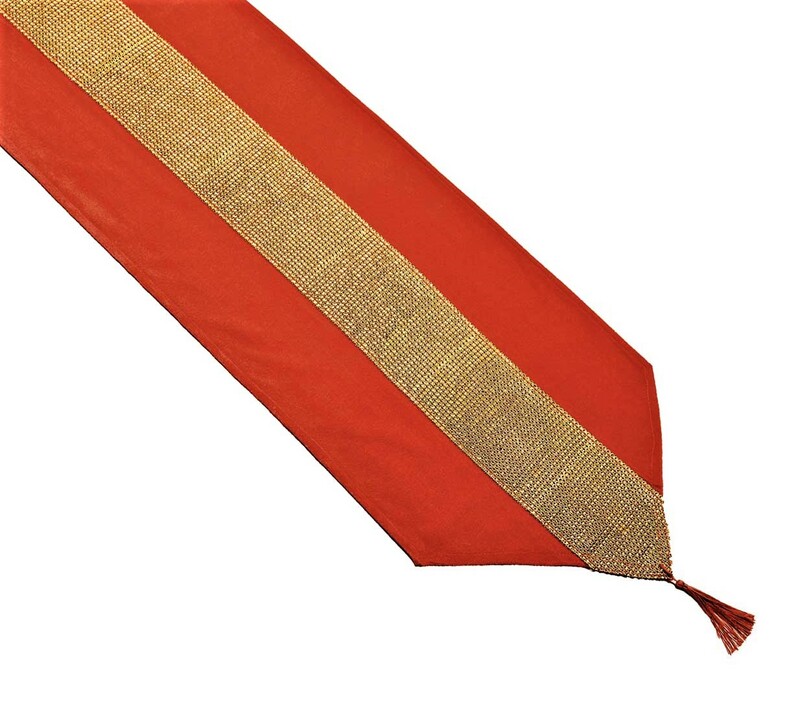 Try Teaming it up with the matching placemats size 12×12″ (30x30cm) which will compliment the table runner perfectly. 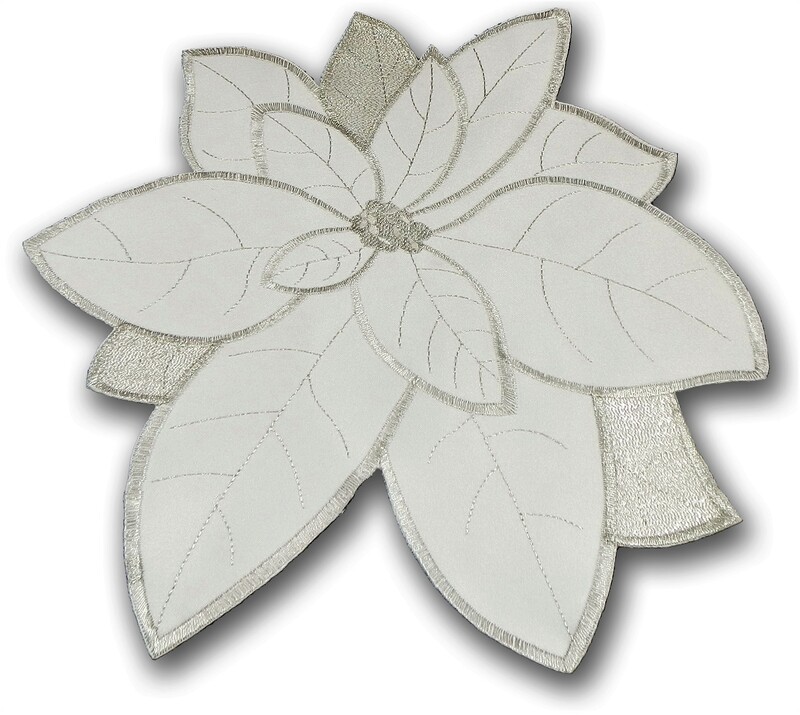 The Poinsettia Grande Christmas table runner size range also starts at a small 33x90cm, 33x180cm and a 33x228cm length for an 8 seater size. 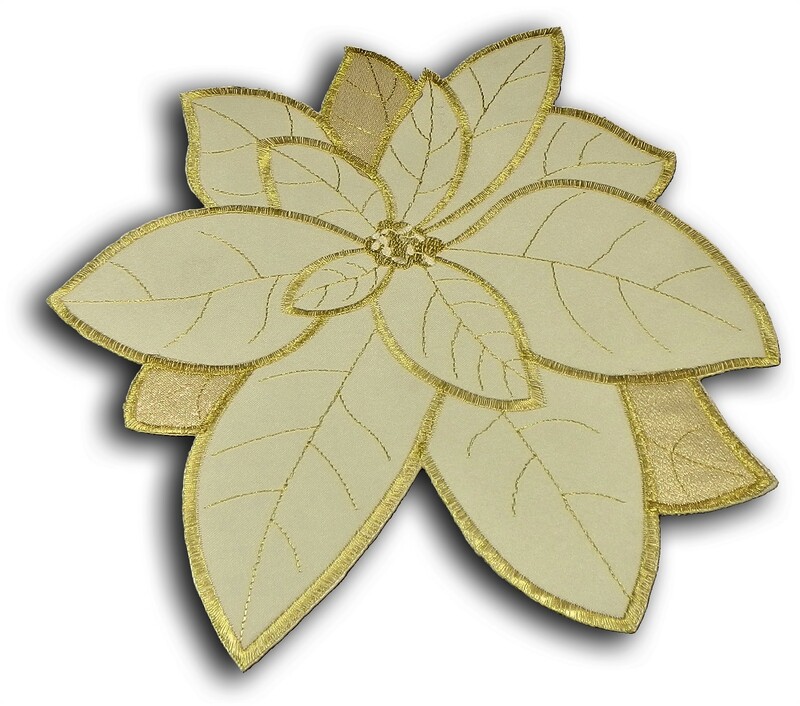 There are Gold with cream and silver table runners and also placemats available to match.